C-Kore subsea measurement tools eliminate slow and cumbersome manual measurement and downline deployment during construction campaigns. They are used to prove the health of equipment during transit, installation, post-install verification and wet-storage. Faults are found immediately giving time for remediation with time-stamped datalogged results. 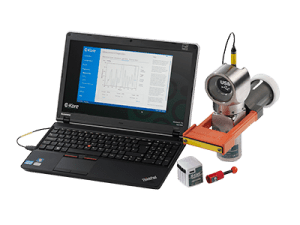 C-Kore tools can be used to prove electrical and fluid lines during the installation of umbilicals, jumpers, control modules, down-hole sensors (or anything else). The units save vessel time and are deployed subsea with assets to verify asset integrity all the way until the point to hook-up. The testing tools can be fitted at any stage of the journey from the point of manufacture to final installation on the seabed. They are straightforward to fit, simply replacing the dummy or blanking connectors that are normally fitted during transit. Only official parts from the original connector manufacturers are used. Fast automated test programs for substantial vessel time savings. Measurements run on schedule with no manual intervention needed. Deployed subsea with assets for complete control. Not affected by adverse weather or humidity. Low-voltage testing will not harm personnel or equipment and does not require permits. Safe for divers and SCMs. Monitoring electrical assets is essential during construction to identify faults early and permit rectification. The C-Kore Cable Monitor is used to test insulation resistance, continuity and capacitance automatically during transit, install and wet-storage of electrical components. 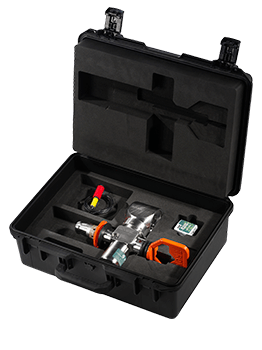 The C-Kore Subsea TDR can be used to characterise electrical cables once installed on the seabed and locate any discontinuities caused by faults. Fluid lines need to be pressurised during installation to prevent collapse. The C-Kore Pressure Monitor measures and logs pressure readings from hydraulic and fluid lines to ensure pressure is maintained. 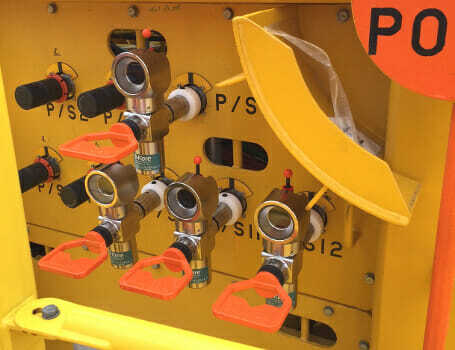 It connects to the Cable Monitor to display results and multiple Pressure Monitors can be connected for different lines. Before the SCM and data-link are available (or after they have been removed) the state of a subsea well is unknown. This creates risks for divers and the environment if there is an accidental release of pressure. The C-Kore Sensor Monitor can read wellhead sensors to report pressure readings and get data from other types of subsea instrumentation. This improves safety for divers and reduces hydrocarbon release risks. Measures insulation resistance (IR), continuity (CR) and capacitance to prove asset health and detect faults. For complete monitoring, fit the unit as early as possible (ideally just after asset FAT) and remove subsea after wet-storage just prior to hook-up. Monitor pressure readings during installation to prove conformance and detect leaks. Connect to fluid lines when pressurised for installation and wet-storage. 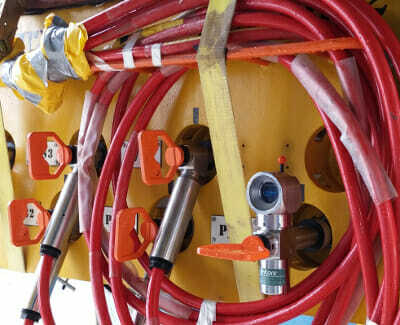 Monitor subsea sensors during installation and decommissioning. Read sensors before controls and data-link are available, or after they have been removed. Find discontinuities and characterise electrical cables for future reference. Precisely locate faults and discontinuities by measuring reflections from electrical pulses. C-Kore tools overcome the issues of traditional testing. They eliminate the need for manual measurement of insulation resistance and lashed together automated continuity measurement systems. Further, these measurement techniques are not possible when components are deployed subsea and in the case of umbilicals the second end must be deployed blind. Without C-Kore the only way to verify installation is with downlines and all the problems they entail, from the slow deployment and dubious reliability of the downlines themselves to the effects of inclement weather on deck-based reading accuracy. Both approaches can easily add many hours to testing, adding up to substantial vessel time. 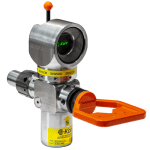 Savings on personnel can be made by using C-Kore tools, as they are trivial to install and then perform automated measurement and data-logging. There are no delays to departure, as the tools only take a moment to install and a few minutes to obtain the first set of test results. Ideally they are installed on the quayside before assets are even loaded to provide continuous monitoring. The tools do not require high-voltage permits, simplifying operations. C-Kore units are depth rated and are left in place for subsea deployment and wet-storage, this means the second end of umbilicals and other components need not be installed blind. When removed by ROV, C-Kore will fit in the tooling tray for extremely fast recovery. For divers, C-Kore is lightweight and easy to handle. C-Kore uses an innovative low-voltage testing technique, so divers do not have to retreat during testing and SCMs are safe from damage. Commonly, after discussing the equipment construction and deployment schedule we pre-configure C-Kore units before they leave the factory so all the end user has to do is remove them from the box and plug them in. Configuration can still be changed later in the field if needed. This is typically a scheduled for repeated measurement, with different testing frequency for transit, lay and wet-storage phases. The light or proximity sensors can be used for additional spot measurements. The C-Kore units arrive in small pelican cases, which can be easily hand carried to site and take very little storage space. Every result is datalogged and the units do not need to be recovered until the point when the new component is hooked-up. It’s simple to demob the units, just place them back in their cases and dispatch via a normal parcel courier, no cranes or haulage required.